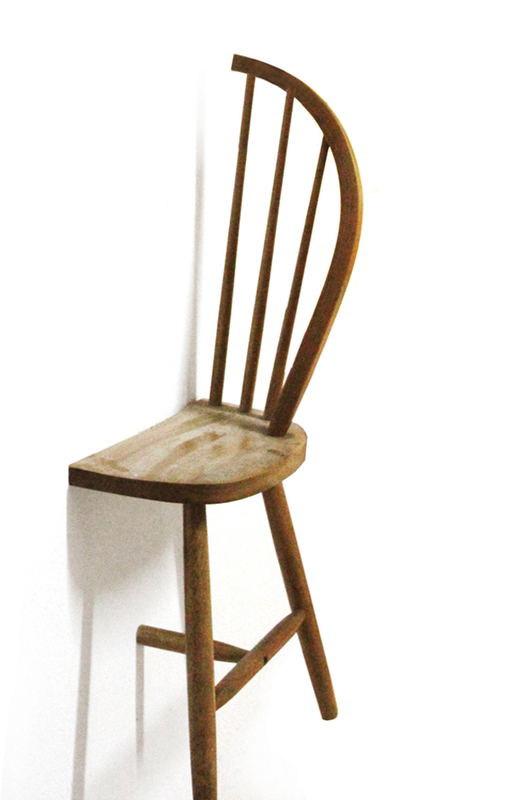 1/2=1 Recycled art is a project by Spanish designer Tess Hill. Redesigning a common object Hill has given it a new function making it exciting and unusual. 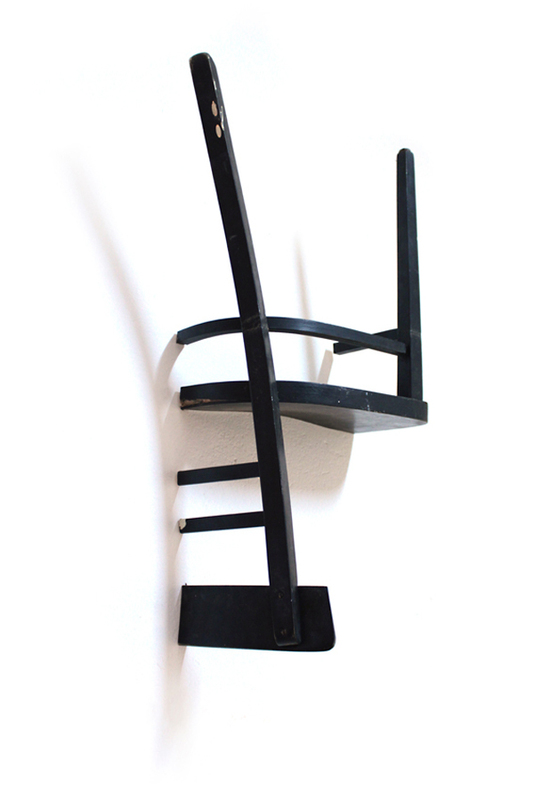 Recycling one chair results in two wall-mounted shelves. 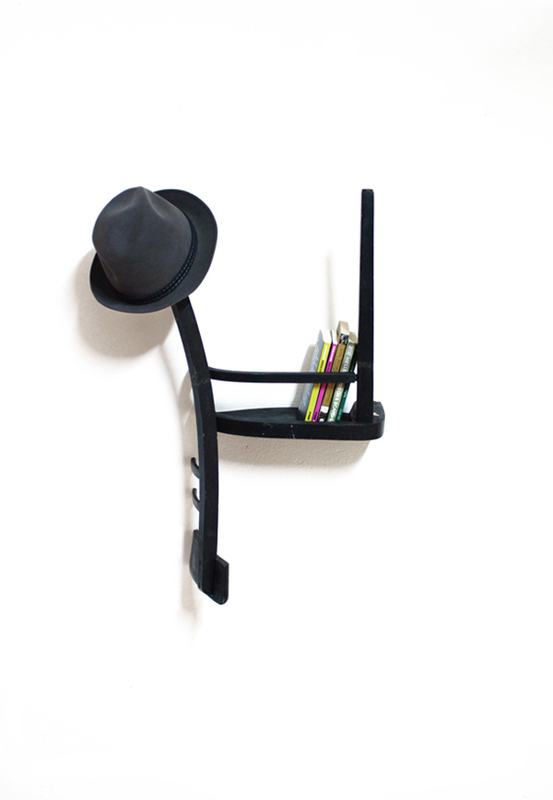 Spanish designer Tess Hill has created some unusual shelves using old chairs. 1/2=1 shelves are both eye-catchy and cool. 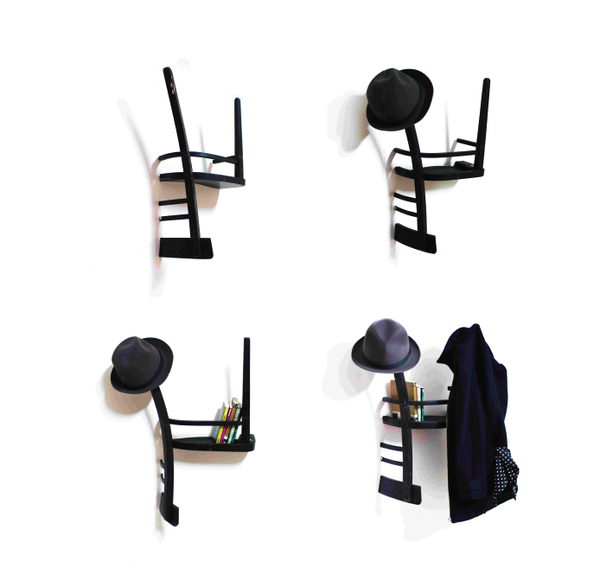 Dividing one chair into two halves Tess Hill has made two unusual wall-mounted shelves that can also function as coat and hat rack. The 1/2=1 shelves can be used in a hallway and used for hanging coats and hats on the chair’s legs. 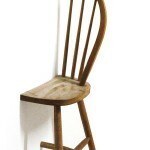 The seat is used for storing books and other objects. 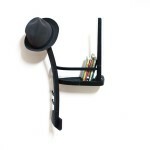 The shelves draw attention immediately making for a unique look. The piece also promotes recycling. What do you think?